A water warrior, that is! Fiona, now a high school freshman, raises money to provide water filters for families without access to clean water. But she wasn’t always so passionate about water filters. So how did Fiona become such a passionate water warrior? Whether you’re passionate about bringing clean water to thirsty African villages, or want to ensure children living in poverty get an education for a better future, personal fundraising is a trend that enables you to make a bigger impact. It’s pretty simple: Ask friends, family, coworkers and acquaintances to donate to your cause. You can do this by dedicating your birthday for a cause, or designating an anniversary or other special day. Instead of gifts for yourself, you ask for donations to your cause. You can also do this by participating in an event. Right now, hundreds of people are successfully raising money to help protect children from slavery by participating in the Free Them 5k Fun Run to Stop Human Trafficking. Last year, top fundraisers brought in more than $1,500 each in donations for a cause that’s near to their hearts. Whatever your passion, here are some tips for increasing your impact with donations from others. Ask! You’ll be amazed at how willing people are to give if they’re asked. Some of us have received donations from unexpected Facebook friends or others, despite having little contact with them recently. You never know who’s just looking for an opportunity to give. Explain why you’re doing this. When you share from your heart, others will relate. If you’re a parent and issues like child trafficking touch your heart, tell other moms and dads about why you care. 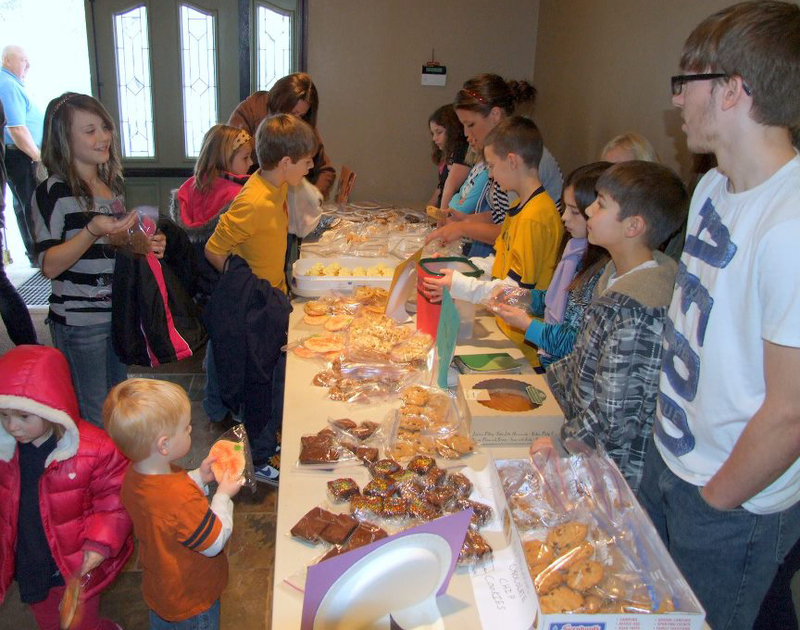 Kids at Trinity Family Fellowship in Yakima, Wash., held a bake sale and raised more than $1,100 for World Concern. Find out if your company matches donations. This is a super simple way to double your impact immediately and effortlessly. If you’re not sure if your company will match your donations, use our online tool to find out, or ask your HR department. Spread the word. Use Facebook, Twitter, Pintrest, email, snail mail, or casual conversation to tell others what you’re doing. Be yourself and have fun with it. People will respond if they see the real you coming through. 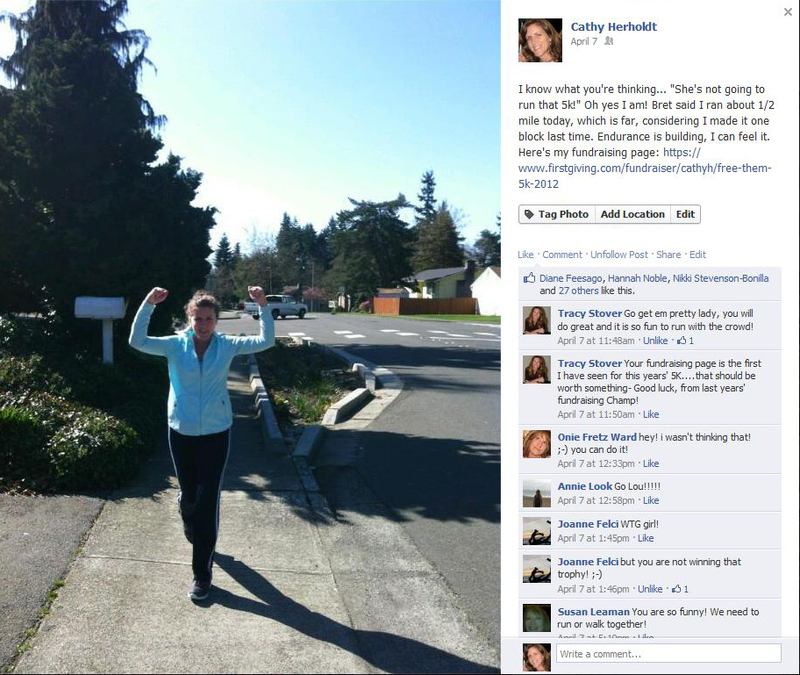 As someone who has never been a runner, all I had to do was tell my friends I was actually running and they showed their support by donating. Pretty cool! My personal fundraising page tells more about why I'm helping fight human trafficking, but this Facebook post about the fact I'm actually running a 5k shocked my friends enough they showed their support with donations.